We work to improve the lives of children from prenatal to age 8 who experience institutional or systemic barriers to opportunity in Oregon: children from low-income families, children of color, disabled children, dual language learners, and children in rural areas. Our research, policy and advocacy, learning initiatives, and community partnerships all aim to keep kids healthy and safe and prepare them to be active, engaged learners. We help lead a coalition of advocates fighting for increased state investments in early childhood programs and services. Our policy recommendations are research-based and centered on the lived experiences of families and educators. Our Early Works sites in Southeast Portland and rural Yoncalla are learning laboratories demonstrating a new approach to early learning and healthy development. Both sites offer publicly funded high-quality preschool and a range of other supports for children and families. 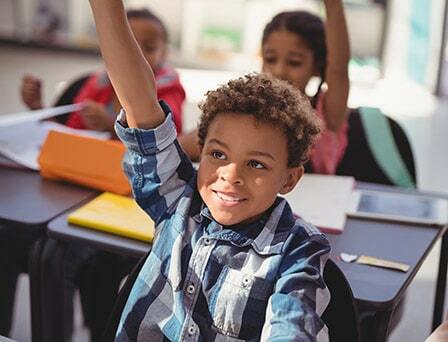 This initiative will help educators and school leaders better align and embed developmentally appropriate teaching practices from preschool through fifth grade. Working with partner school districts, we hope to demonstrate how the benefits of high-quality preschool can be sustained through the elementary grades. Healthy kids are better able to learn and succeed in school. With support from the Oregon Health Authority, we are leading Oregon to become the first state to incentivize the health system to contribute to improved kindergarten readiness. We are a state leader in this national, collaborative effort to improve third-grade reading outcomes. The Campaign for Grade-Level Reading fosters community partnerships and engages families to improve school readiness, school attendance, and summer learning. We produce print publications, videos, podcasts, and infographics to educate policy makers and voters on early childhood issues, programs, and services. These materials combine current research with stories from communities across Oregon.